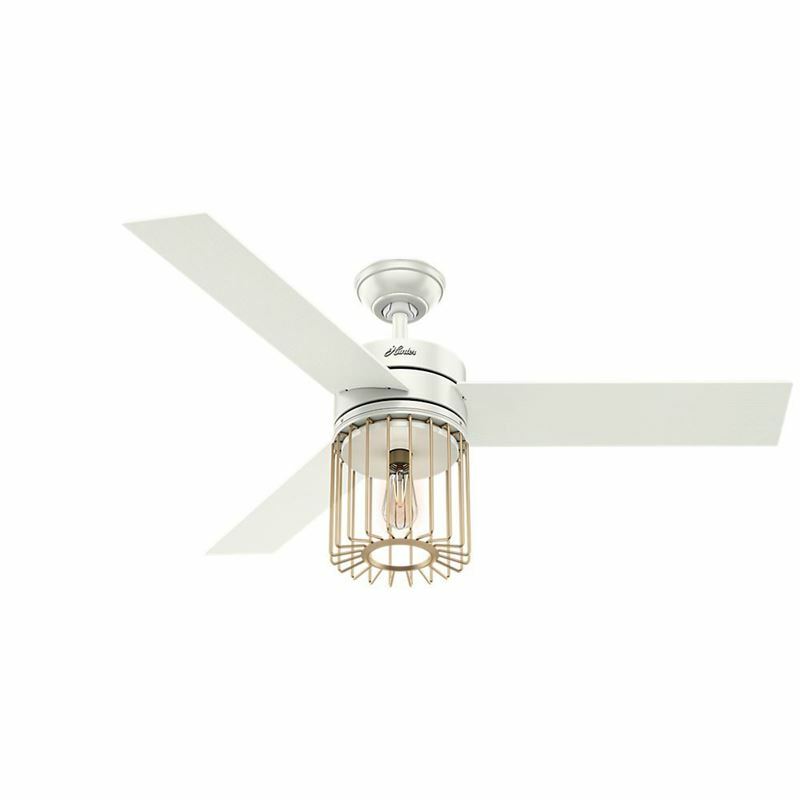 The Ronan modern caged ceiling fan features a wire-form cage surrounding a vintage-style LED light bulb. The warm metal and tonal blades create a nice contrast with the fan body. This 52-inch Designer Series fan is modern, versatile, and ready to join your home.